I write despite being a worried writer and an anxious person. 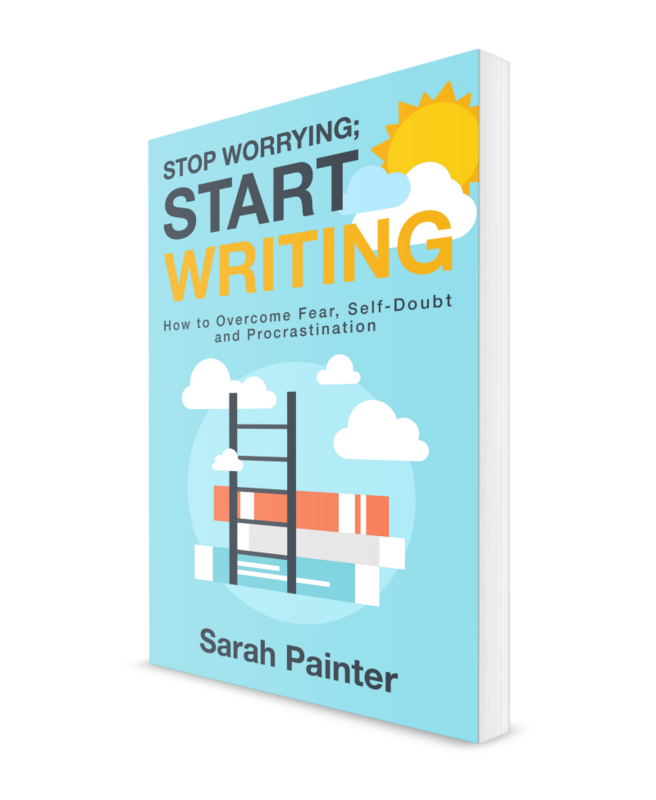 Over the years I have developed tricks and techniques to help me to get my work done, and through interviewing wonderful authors on the Worried Writer podcast, I gained further insights and confidence. I decided to put everything I have learned into a book, in the hope that it might help other worried writers. There are a lot of books out there offering advice to writers but Sarah Painter has created something unique with this fantastic guide. She knows how writers worry, she gets the anxiety of exposing your precious work to the world, the fear of failure, that nagging sense that you’re not good enough. 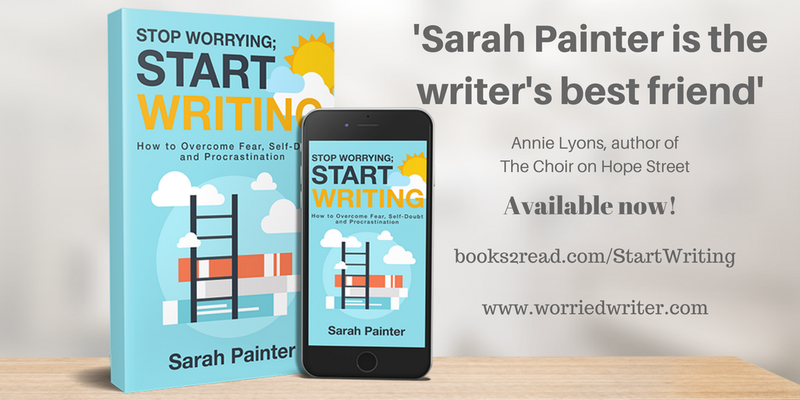 In this engaging, wise and funny book she uses her own considerable experience and that of other authors to reassure and advise fellow writers on how to overcome their fears and strengthen their resolve. One of my favourite parts recommends recruiting a pet dragon (or similar imaginary friend) to represent your writerly anxiety. By acknowledging your anxiety dragon as something which is trying to protect you from the evils of the world (bad reviews, unhealthy comparisons with other writers etc. ), you can accept it as part of the process, pat your dragon on the head, dismiss it and get on with the proper work of writing. I shall be adopting a dragon with immediate effect. Overall, this book is an absolute gift, not just for writers but for anyone interested in writing and the writing process. Whenever I start to write a new book, I re-read Stephen King’s ‘On Writing’ (a book which Sarah also recommends in her invaluable suggested further reading list) and I shall also be re-reading Sarah’s book too. If Stephen King is your writing godfather then Sarah Painter is the writer’s best friend – kind, honest and full of wisdom. This is a welcome addition to the writing reference library and I can’t recommend it highly enough.